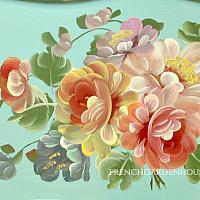 Beautiful Vintage Toleware Tray, from the mid 20th century, in that rare to find AQUA color! 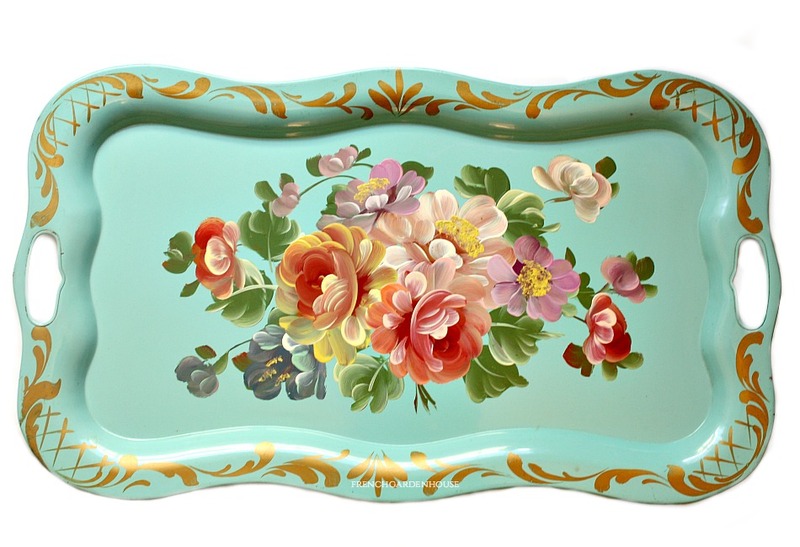 This is a wonderful decorative tray, large, and an unusual shape, with cut out handles. 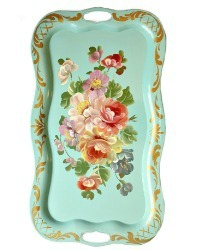 Perfect if you adore aqua, this tray is in exquisite condition. 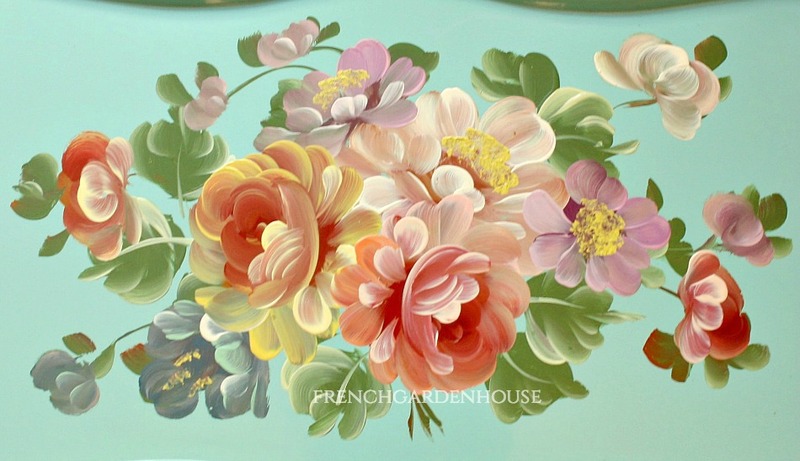 The exceptionally large Hand painted central bouquet of flowers features stunning roses in pink and apricot colors, along with garden favorites in lavender, blue and cream with green foliage. Fabulous size, this will display beautifully on a wall, or hold a lot of glasses of your famous sweet tea in the spring when entertaining.